What is the difference between Canada Bikes, Cycle Canada Cyclisme, CAN-BIKE, and Cycle Canada? 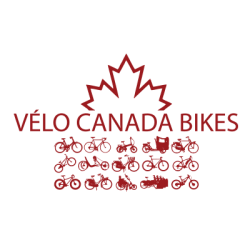 Canada Bikes is the national voice for commuter, recreational and touring cyclists. Cycling Canada Cyclisme (http://www.cyclingcanada.ca/) (formerly the Canadian Cycling Association) is focused on competitive cycling, including responsibility for racing licenses and sanctioning races, working with provincial / territorial cycling associations. The CAN-BIKE program (http://canbikecanada.ca/), administered by Cycling Canada Cyclisme, is a series of courses on all aspects of cycling safely and enjoyably on the road; it is oriented toward recreational and utilitarian cycling. Cycle Canada (http://www.cyclecanada.com/) operates supported cycling tours throughout Canada. Have a question? Send it to us via email or tweet @canada_bikes.